Our MSc Computing Science is specially designed for graduates of non-computing subjects to study computer technologies and skills to create new career prospects. It is a one-year full-time course but can also be taken part time over two-years. In this course, you’ll not only learn essential and advanced computing knowledge and skills but also develop your generic and transferable skills for communication, critical thinking and reasoning, problem solving, technical writing, independent and team working and project management. In addition, you learn proper computing professionalism and ethics. Firstly you will take three fundamental modules: Applications Programming, Database Manipulation, and Internet and Multimedia Techniques. They will teach you essential knowledge and skills in three main and important areas in Computing: Programming, Database and Internet. These modules lay some solid foundations for you to move onto more advanced and/or specialised fields by choosing some optional modules, such as Machine Learning, Applied Statistics, Data Mining, Software Engineering, System Engineering Issues, Computer Vision, Information Visualisation, Modern Embedded Technologies, etc. If you are not sure what to choose, your adviser will help you. You also need to do a dissertation project (60 credits) from January to late August, which gives you the chance to specialise in a specific topic and work closely with our world-leading academics. You can choose a project from a list of many proposals made by our faculty members and/or industrial collaborators. Or you may propose your own project if you have a good idea. You will be supervised by a supervisor from the School for doing your dissertation, which may result in publication, and/or some systems that have a potential to be used in research, industries or businesses. On this one-year course you’ll take a set of essential modules to give you a thorough grounding in the subject, complemented by your choice of optional modules. Your essential modules include Applications Programming, Database Manipulation and Internet and Multimedia Techniques. If you have already had sufficient knowledge and experience on one or two of these subjects before, you can consider swapping them for optional modules after getting a permission from the course director. From the Applications Programming module you’ll gain a clear understanding of Object Oriented Programming (OOP) and essential Objected Oriented Analysis and Design skills for developing application software. You’ll learn Java programming language and use it as a vehicle to learn important concepts, such as objects, classes, inheritance, encapsulation and polymorphism. You’ll also learn Unified Modelling Language (UML) as a tool for object-oriented analysis and design, software development life cycle models, software testing strategies and techniques, and version control. The Database Manipulation module introduces you to most aspects of database structures, manipulation and management systems. You’ll gain practical experience of database manipulation through the use of SQL and the Java JDBC interface on a relational database management system. Moreover, you’ll learn database design using Entity-Relationship modelling and normalisation. In addition to these essential modules you’ll choose two modules (40 credits) and study two compulsory modules, which are Research Techniques Module (over two semesters) and the Dissertation Module. 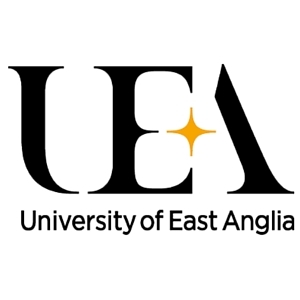 Visit the MSc Computing Science page on the University of East Anglia website for more details!